Yes, I admit that I'm a complete nerd and watched a documentary about origami and you know what? IT WAS FRIGGIN AWESOME!!! Yes, it's true, I just used caps and 4 exclamation points to describe something about a bunch of nerds folding paper but it was fascinating to me. I had no idea there was such a vibrant origami community, hell I didn't even know there was an origami community. I'm always fascinated by passionate people (and clearly it doesn't matter what they're passionate about) and the people interested in the art and science of origami take their art form very seriously. 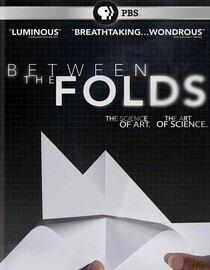 The documentary focuses on the technical side of origami versus artistic expression. The younger generation is apparently wrapped up in making the most complex origami possible while the older generation is more focused on expressing emotion with their work and legitimizing origami as an art form. Oh, and neither of them like the postmodernists who strive to make abstract images with only one fold. In a way, the debates in the origami world reflect the arguments artists have been making for thousands of years and that is what really fascinated me about this documentary (aside from all the pretty shapes). Why is it in your queue? I like to watch things that most people would consider boring. Is it artsy? Yes, it's about art. Geez, did you even read the blog? Best thing about the movie? All the pretty paper folding. What mood should I be in to watch this movie? In the mood to be unexpectedly delighted with something you never thought you'd care about.